After extensive study and testing, we purchased what we believe to be the finest laser available for this procedure. Its advantages are discussed on this page and in more detail in our book Laser Treatment of Eye Floaters (available from this website). He wrote the only application to the U. S. Food and Drug Administration on laser design and usage. That application resulted in their approval of YAG lasers for treatment of eye floaters. He published the only paper on designing the ideal YAG laser for floater treatment. He has written on the plasma laser physics of floater treatment. He has tested several YAG lasers by having them shipped to his office for trial and has traveled to other doctor’s offices to test their lasers. He wrote the only book chapter that compares different YAG lasers for floater treatment. 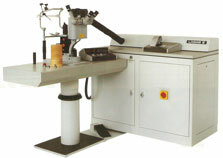 He has worked with a YAG laser manufacturer on their laser design. The only characteristic of a YAG laser that is truly important in treatment of floaters is that the treatment beam (the laser beam) must be very close (nearly parallel) to the illumination beam (the beam from a light bulb that illuminates the floater). If these two beams are not close together, the laser is nearly useless for floater treatment in the middle and back 2/3rd of the eye. This is why most YAG lasers that doctors own are unsuitable for floater treatment. These lasers were designed to open cataract membranes and most should not be used to attempt floater treatment. Fortunately, all doctors doing a high volume of floater treatments have a proper laser. has both central and side illumination of floaters; is a newer laser; is small; is air-cooled and very reliable; full powered for floater treatment; and has a conventional aiming system. is the original laser; has only side illumination of the floater; is very large; is water cooled and somewhat unreliable; has excess power (never used); has multiburst mode, and a rotating aiming system. A laser generates the treatment beam and the two tiny red aiming beams only. Therefore, to light up the floaters so the surgeon can see them, there must be a separate light bulb outside the laser that shines by way of a mirror into the eye to put light on the floaters. This illumination mirror can be placed (1) between the eyes of the surgeon and that puts it very near the treatment beam where it should be, or (2) it can be placed lateral to an eye of the surgeon which places it further away from the treatment beam and makes it come into the patient’s eye from one side or the other. Most lasers allow only (1) or (2). My laser is unusual in that it allows me to place the illumination mirror either centrally or just lateral to either my right or left eye. This is ideal. I almost always use the central position for the mirror because it (a) illuminates the floater evenly, (b) puts the same amount of light reflecting into each of my eyes, (c) provides the best depth perception, and (d) the surgeon always sees the retina when firing the laser because the light also lights up the retina directly behind the floater (which lets the surgeon knows if there are blood vessels behind the floater). All of the YAG lasers I have tested and know of, have adequate power for treating floaters. But some older YAG lasers were made to also cut thick vitreous membranes. For cutting these membranes, they have additional power. One such laser will blow a hole through a penny in one shot. But this additional power is never used for floater treatment and would be destructive if it were used. Multiburst mode means that when the laser is triggered, it fires off 2 to 9 shots in quick sequence instead of one shot. This feature was originally added to some lasers mainly to speed up the cutting of thick membranes such as in diabetic patients. The problems with the multiburst mode are that only the first shot of the sequence is aimed, and the total power used in the treatment builds up as much as five times faster as in the uniburst mode. The treatment beam of the YAG laser is invisible so it is coupled with two visible red aiming beams so that the surgeon can locate the treatment beam in the vitreous. Most lasers have two stationery aiming beams. When these two beams are brought together on the floater, the treatment beam is also then on the floater. However, the oldest laser has the two aiming beams rotating. I find the rotating aiming beams distracting. There is no clinical difference in the results from the two aiming systems. 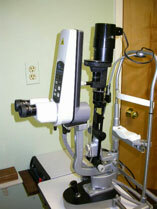 The first YAG laser came on the market in 1983. Since then, the heart of a laser (its cavity) has been improved very little. Lasers have been made smaller, more reliable, and require less maintenance, but they work no better than the original laser. One of the latest lasers has a very simple modification. The hole that lets the laser beam out of the laser cavity was made slightly smaller. This is important only when treating cataract membranes, not floaters. The oldest YAG laser is water-cooled. This has caused its poor reliability. A non-working laser is a major problem if patients come from out of town by air. The only solution is to buy two of such lasers. Doctors doing a large volume of floaters have done this. The newer lasers are air-cooled and virtually never fail.